Organizations searching for ISO certification process in india, ISO certification procedure in india, What is process for ISO certification in india, What is procedure for ISO certification in india may contact us. How to get / obtain ISO 9001(9000) 2015 certificate certification in india ? What is process of ISO 9001(9000) 2015 certification in india gujarat ? How to get/ obtain ISO 14001(14000) 2015 certificate registration in india? What is procedure for ISO 14001 (14000) certification in India gujarat ? How to get / obtain OHSAS 18001 (18000) certificate certification registration in india? What is process procedure for obtaining OHSAS 18001 certificate in India Gujarat ? How to get / obtain ISO 22000 certificate certification registration in india? What is process procedure for obtaining ISO 22000 certificate in India Gujarat ? How to get obtain ISO 27001 (27000) certificate certification registration in india? What is process procedure for obtaining ISO 27000 certificate in India Gujarat ? How to get obtain ISO 50001 (50000) Energy management system certificate certification registration in india? What is process procedu ? What is process / procedure of getting ISO certificate certification registration in India Gujarat ? We are providing our ISO certification consultancy services in Gujarat (at ahmedabad, vadodara-baroda, surat, ankleshwar, bharuch, nadiad, anand, vidhyanagar, mehsana, kadi, kalol, chhatral, palanpur, rajkot, bhavnagar, Jamnagar, himmatnagar, bavla, gandhinagar, gandhidham, kutch, mundra, surendranagar, junagadh, saurashtra, dahej, halol, sanand and in other cities of Gujarat), Rajasthan, Punjab, hariyana, Uttar pradesh, Madhya pradesh, Bihar, Karnataka, Tamilnadu, Andhra pradesh, Maharashtra, Aasam, Kerala, and in other states of India & abroad. 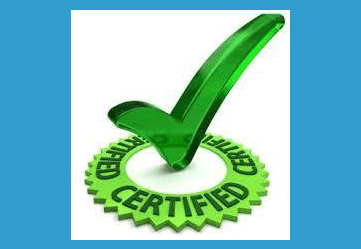 We are getting our customers certified with world wide recognized, globally reputed and respected ISO certification agencies like TUV Nord, TUV SUD, TUV India, BUREAU VERITAS Certifications (BVQI), Intertek, & certification agencies accredited with NABCB, UKAS, RVA, RAB, ASCB, ANAB, IAF and other reputed accreditation boards. Goverment is Giving ISO subsidiy / ISO reimbursement reimbursement on expenditure of ISO Certification for SSI & certain other industries. This is a government initiative to promote Quality awareness amongst industries. After completion of ISO certification project, we are helping our customers in achieving this ISO reimbursement/subsidy. However there are certain terms and conditions applicable which decides how much amount will be reimbursed and to which industries it can reimbursed. 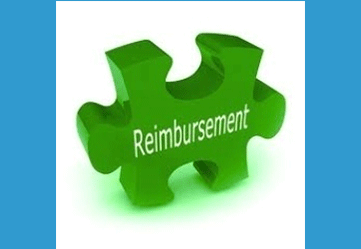 For details on ISO subsidy / ISO reimbursement kindly contact us. Organizations in India and abroad looking to obtain ISO certificate, ISO certifications, ISO registration, ISO 9001 certification, ISO 14001 certification, OHSAS 18001 certification,ISO 22000 certification, ISO 27001 certification, ISO 50001 certification, ISO 20000 certification can contact us. 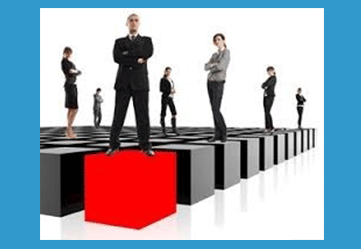 Blue Sky Management Services is a leading name in India for all kind of ISO certifications. We can help organizations in achieving all kind of ISO certifications from various certification bodies like TUV Nord, TUv SUD, BVQI, Intertek, URS, and other UKAs, NABCB, JAS ANZ, DAC, ASCB etc. Organizationis looknig to achieve ISO 9001 2015 certification in India, ISO 9001 2015 certification in Gujarat, ISO 9001 2015 certification in Ahmedabad, vadodara, surat, ankleshwar, bharuch, vapi, valsad, mensana, kadi, kalol, himmatnagar, surendranagar, prantij, bhavnagar, and in other cities of Gujarat can contact us if they are searching for ISO certifications, ISO consultants, ISO certification consultants, ISO registration consultants. We can surely help them in achieving the required ISO certificate.